Now that I'm on year 527 of my Ps driver's license (or at least it feels like it), I am now in the possession of my own deliciously fabulous motor vehicle, which we call Red Riding Hood - because of her rosy colour. When it came to choosing a car, I had a few must have features as I think everyone does but I was chatting to my friend Paula and she told me that she opts not to use a GPS in her car so that it keeps her memory working and brain alert. It made sense, I think brain training exercises are a good idea so we are now GPS-less and I try and memorise the streets of Sydney. Which was odd at first because I have no sense of direction. So far, I think it has worked. Each time I have to go somewhere new, I look up the route before I leave the house and remember key street names and turns. And if a directionally challenged person like me can do it, I think anyone could. I have found my memory improving a little too and worse case scenario,if I get lost, I could use my phone. Well, if I could get signal that is (hello Vodafone! No signal in the middle of Sydney's CBD is not on!). Another way to apparently keep the mind sharp is with apparently with omega 3's in foods like salmon. 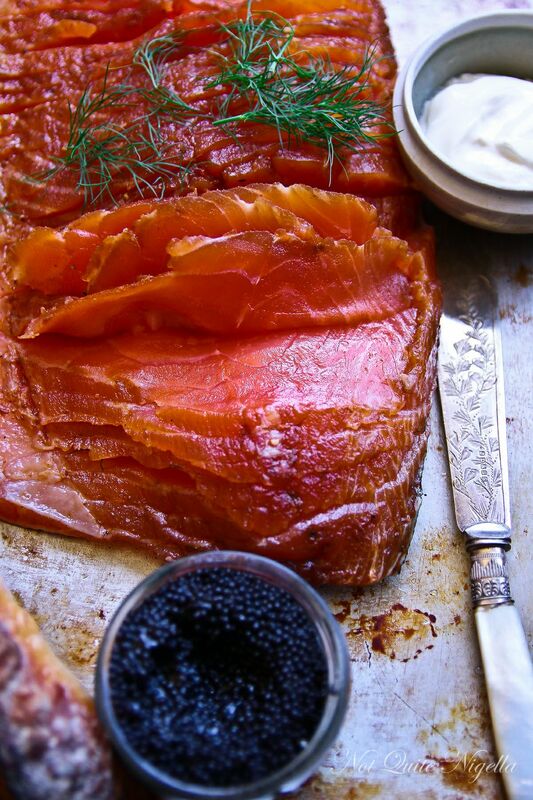 I love the stuff and one thing that you might think would be hard to make is salmon gravlax. 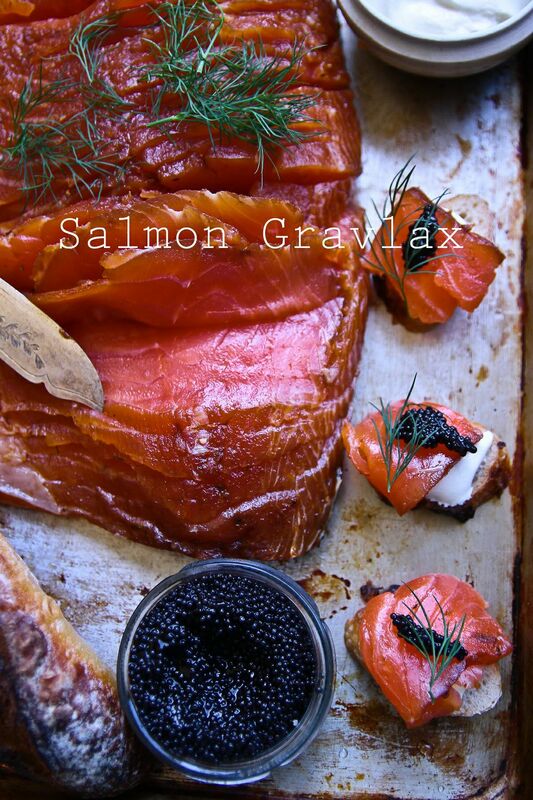 Gravlax is the Scandinavian word for buried salmon -'grav' means grave and 'lax' means salmon. Fisherman used to bury the salted fish under the sand to preserve it. 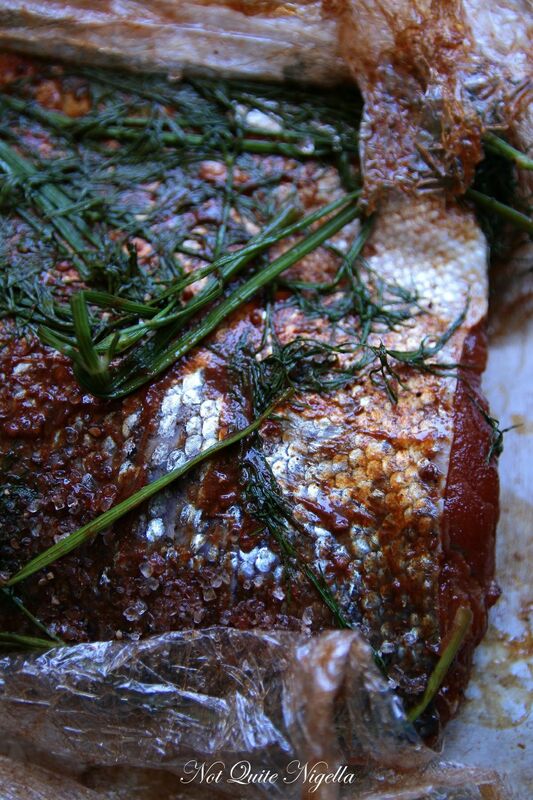 It's also an alternative to cold smoking salmon and infuses it with flavour and herbs. And the best thing? It's so incredibly easy to do! 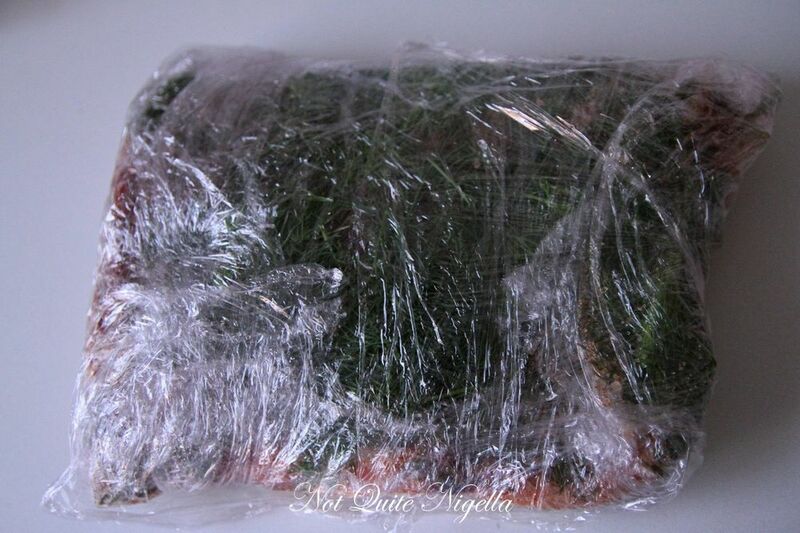 All you do is take some salmon and coat it with salt, sugar and herbs and wrap it tightly and place it in the fridge. 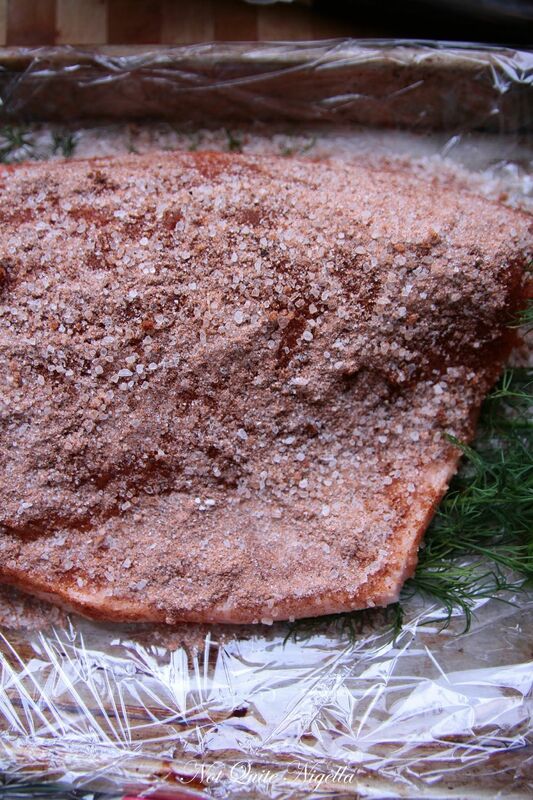 Turn it twice a day for 3-4 days and voila, you have gravlax! It tastes better than bought gravlax and isn't frozen like a lot of gravlax or smoked salmon can be. I gave some to half Scandi Mr NQN and he adored it and I had to stop him from devouring the fillet just as his ancestors may have done too. So tell me Dear Reader, do you rely on a GPS to get to places? 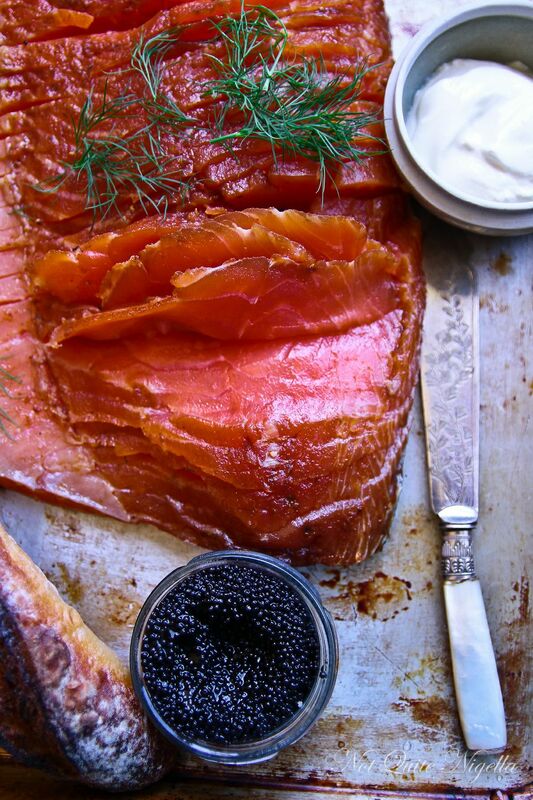 Are you a fish eater and have you ever made gravlax or smoked your own fish? *Buyer's tip: ask the fishmonger for fresh (not frozen) centre fillet salmon and ask for bones to be removed. You can also use a few smaller pieces if they don't have a large fillet. 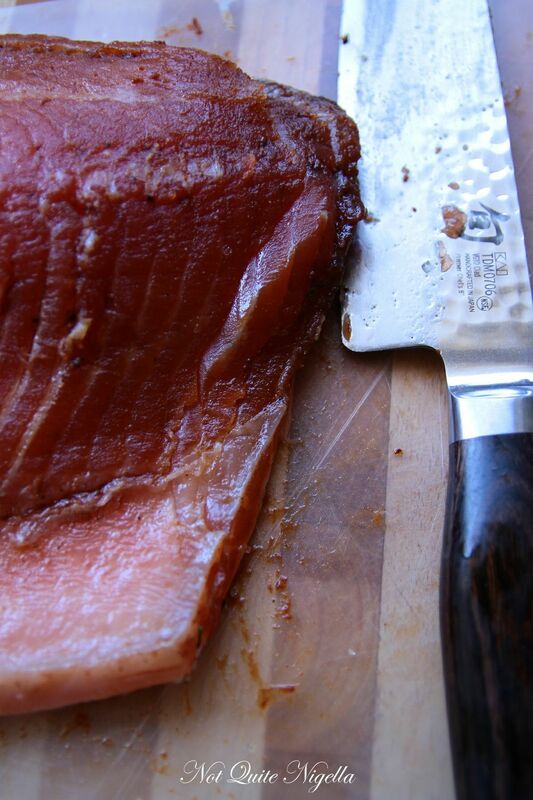 Step 1 - Freeze salmon for 24 hours at −20°C (−4°F) for 24 hours to kill any bacteria. 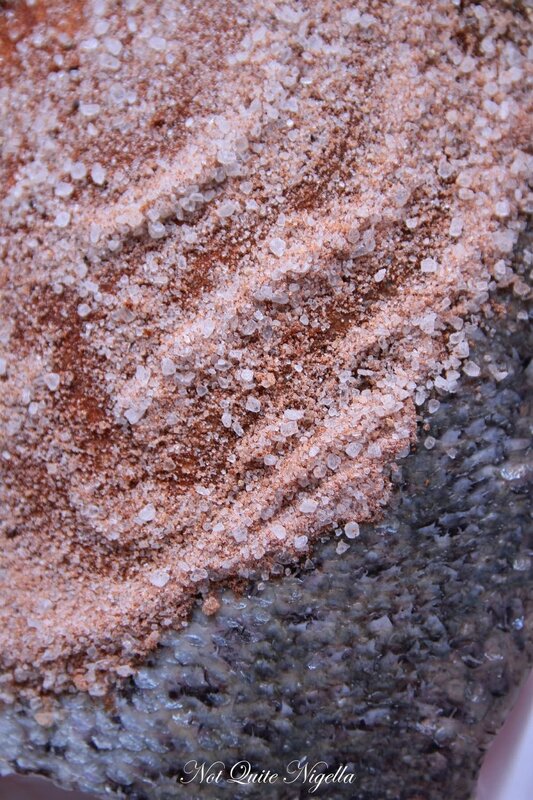 In a bowl, mix the salt, sugar, pepper and paprika if using. Lay out two large sheets of cling wrap on a tray. Check the salmon for tiny pin bones by running clean hands over the flesh side of the salmon and removing with tweezers. Step 2 - Spread out half of the dill fronds onto the surface of the cling wrap and then lay out half of the salt and sugar mixture. Lay salmon fillet on it and then sprinkle with the remaining half of the salt and sugar mixture and then the rest of the dill. Wrap very well ensuring that there are no holes-use more cling wrap if needed. Step 3 - Place on the tray in the fridge and weigh down with cans. Turn twice a day and do this for 3-4 days. 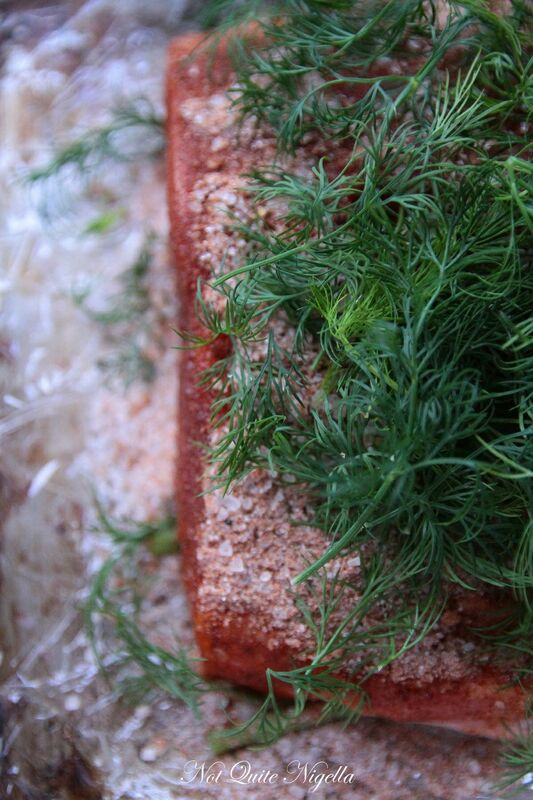 When ready, unwrap and remove the dill and salt and wash gently under icy cold water to remove excess salt. Serve with sour cream, fresh dill and caviar (psst, don't use a metal spoon for the caviar, use a mother of pearl spoon). featureMade From Scratch: Flour Tortillas! featureMade From Scratch: Vanilla Extract! featureMade From Scratch: Yogurt in a Thermos or Oven! featureMade From Scratch: Make Your Own Butter!